A Commercial General Liability insurance policy is one of the most important policies to be considered for all businesses. There are potential threats of an accident to a customer, vendor, or any third-party involved with your business. 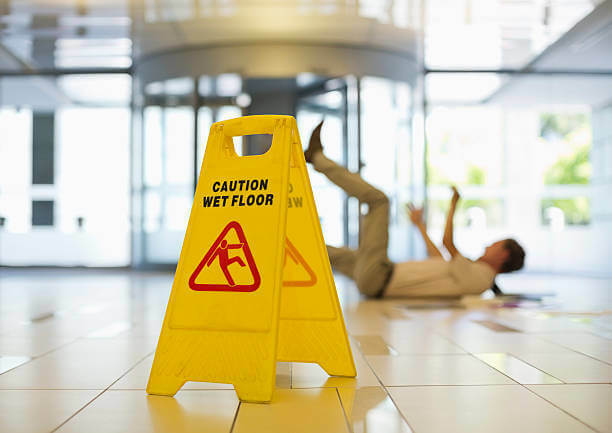 Even a simple slip and fall in the premises can be devastating resulting in a potential lawsuit. The Commercial General Liability Insurance policy will provide necessary financial support to businesses against any legal liabilities due to a bodily injury or property damage that can oc-cur as a result of your business operations. Commercial General Liability insurance is a combination policy covering both public and product liabilities under one single policy form. Covers for legal liability to pay damages because of bodily injury or property damages with no limitations for cover in terms of premises- owned/rented or at premises/out-of premises. Coverage includes all bodily injury and property damage arising out of products of the businesses. Product Liability Insurance will cover for cost of compensation against financial losses suffered by a third-party arising out of use or consumption of a faulty product. The third-party has to suffer a bodily injury or property damage. Any damages because of personal and advertising injury caused by an offence arising out of business. Non-employee injuries that happen on your property. Immediate medical expenses for the injured person. Legal costs when you're sued over the incident. Damage caused by the products you make, distribute, or sell. Invasion of privacy, such as using someone's image or words without their consent. Legal costs when you're sued over these incidents. Bodily injury: Includes death and illness, disability, shock, anguish or mental injury. Property damage: Any destruction of tangible product including loss of use. Who can buy the Commercial General Liability insurance? The product that is insured can be the final product or just a part of the final product. Hence, all businesses involved in either manufacturing or distribution of a tangible product should consider buying this insurance policy. What is paid under Commercial General Liability insurance? Legal liability expenses including claimant’s costs, fees and Defense costs. Damage costs — monetary sums pursuant to judgments or awards and settlements. All the above expenses and costs are paid for third-party claims arising out of bodily injury or property damage. What is NOT paid under this insurance? Any liability for fines, penalties or punitive damages. Recall of any product (unless purchased as an extension). Repair or modification or replacement of product or any part of the product. Wilful, deliberate non-compliance with any statutory provisions. Copyrights, patents or trademarks infringement. Radioactive toxic explosives or other hazardous materials. Claim made prior to policy inception or retroactive date (if any). How the limits under Commercial General Liability insurance work? The limit varies depending on the company's revenues, business, and exposure type. The policy limit is an "annual aggregate" (AOY) meaning that there is only one single limit for all the claims during one policy year.